....and here is showed inner optic setup-simmilar like angled Zeiss. Edited by denis0007dl, 16 October 2018 - 10:30 AM. Collimation differs with every eyepiece holder you use. For example, Baader ClickLock eyepiece holders wont have same collimation position/point like will have Baader Helicall eyepeice holders and other eyepiece holders. 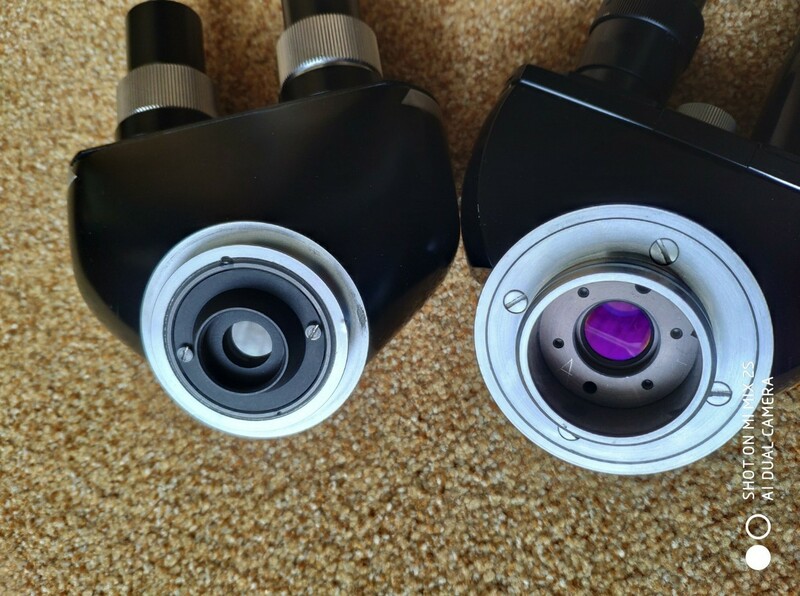 Each eyepiece holder have several start positions of T2 thread, so collimation achieved even with same eyepiece holder, used on same T2 plate, will differ if you screw it on at different start position of T2 thread! 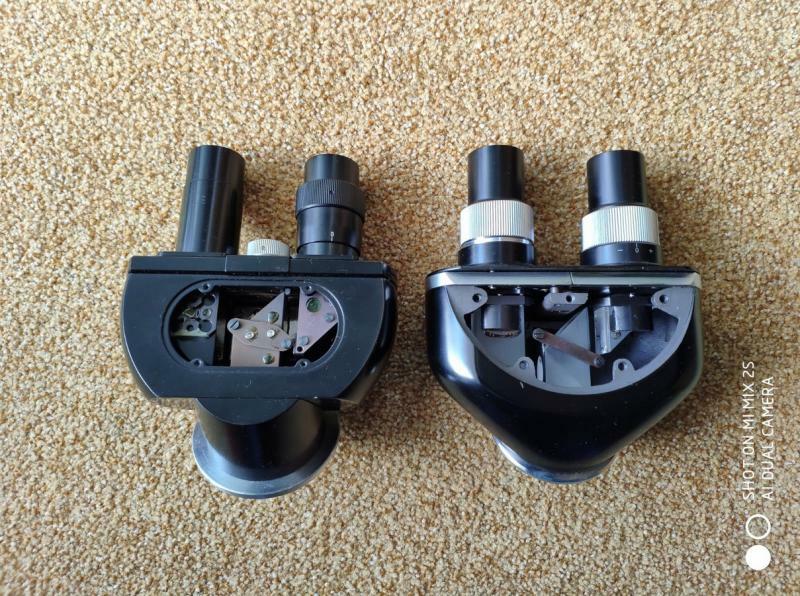 Same is worth for all other eyepiece holders, and all have different collimation points/positions! WARNING: by rotating eyepiece holders you change collimation position! Baader Helical eyepiece holder users, CAN combine above mentioned collimation instructions with any of down described collimation methods. Store binoviewer in moisture free environment. 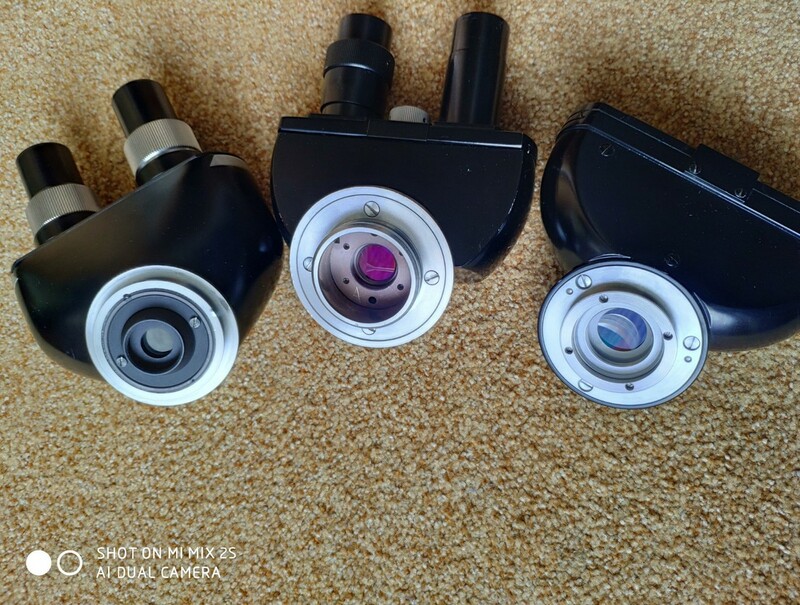 Use air blower ONLY after each observing to remove dust fallen on each prism surface (each eyepiece side prism, and telescope side prism). After 1-2 years of usage, if necessary, use LensPen MiniPro or simillar tool/tools for clean each eyepiece side prism, and telescope side prism. Dont bother if there is some dirt, dust etc inside binoviewer, there are usually 10 prism flat surfaces where dirt, dust etc can lay on. That wont affect any image performance. Edited by denis0007dl, 01 November 2018 - 10:55 AM. Thanks for this very valuable information Denis. I know it will means all of you a LOT!!! TeleVue BinoVue replaced original eyepeice holders, and added custom made T2 adapters. Edited by denis0007dl, 02 November 2018 - 08:44 AM. 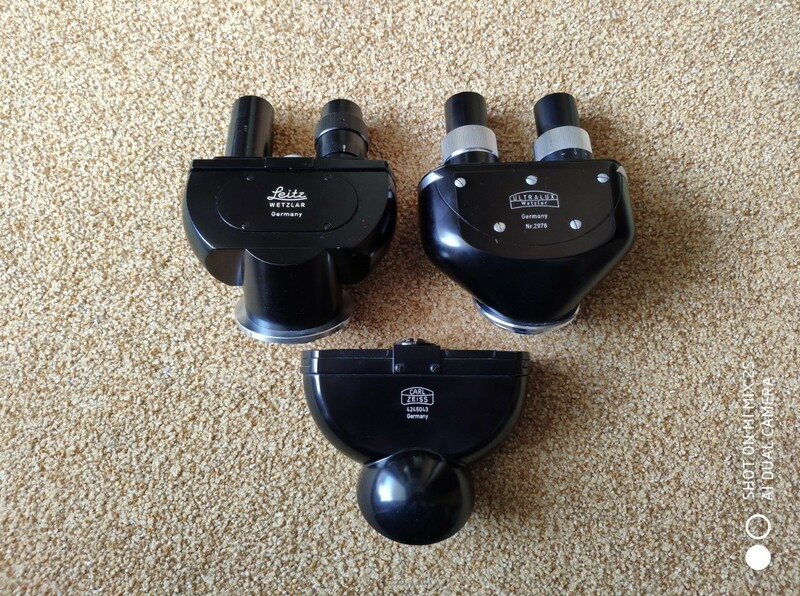 Denis, do the custom adapters + Baader clicklocks shorten the optical length of the Televue Binoviewer? Are you selling the adapters to customers willing to do the modification themselves, and if so how much are the adapters? Edited by wcw, 02 November 2018 - 10:11 AM. yes, even screwed on Baader ClickLocks save HUGE 7mm of light path vs original eyepiece holders of BinoVue! Yes, end user can do modification/replacement by themselves, with adding some replacement instructions I can provide. Price for each plate is 120 euros. Its very complex design. Edited by denis0007dl, 02 November 2018 - 10:23 AM. Denis, do the custom adapters + Baader clicklocks shorten the optical length of the Televue Binoviewer? That's why I ask Denis to custom build those adapters for me. 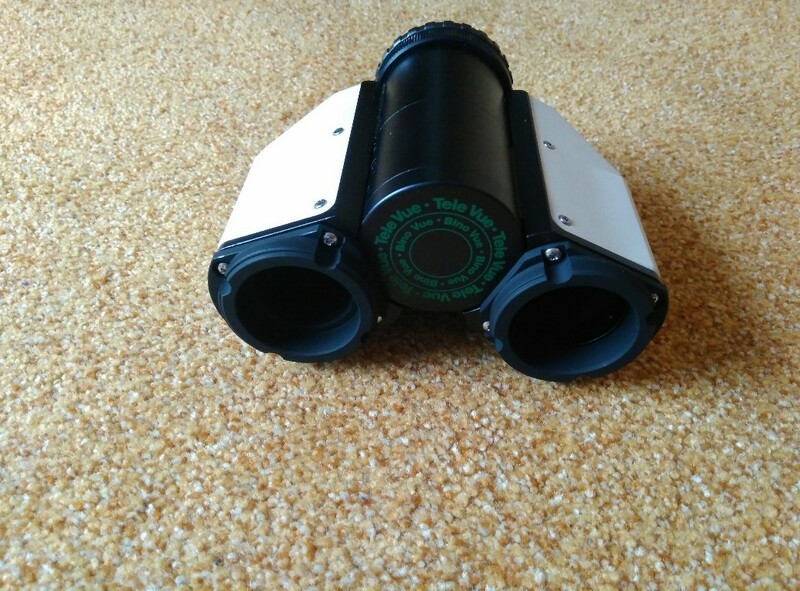 Now I will not have to use the binoviewer with the corrector (OCA) on my TAK (! ), which means wider FOV, less glass in light path, less weight... Should there be an interest I will write a review. 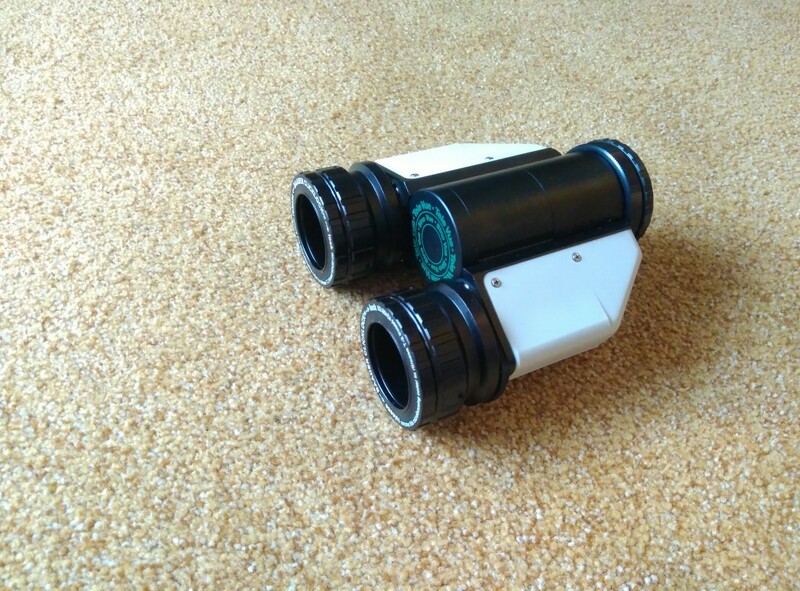 Also, I cannot wait to show this improved binoviewer to uncle Al (Nagler) at next year's NEAF. I read this whole topic. What a ton of usefull information. Thanks! Recently I looked through a binoviewer on a star party. I knew I shouldn't have done that because now I want one too! So what I gather from this topic is that the TS prism bino (not the new mirror thingy) is mechanicaly identical is to the Chinese siblings (William Optics, Omegon, Lacerta etc.) but the selfcentering eyepiece holders are better than the others. Right? I have a William Optics 20mm 72 degree swan eyepiece which I like. Is that a suitable eyepiece to get another one of? Last I bought a Baader RCC I coma corrector on a whim. Is this usefull for use with a binoviewer? How did you perform the test? i know how to do it with binoculars, but not binoviewers! No need for a test IMO as It's the housing that usually determines the clear aperture. 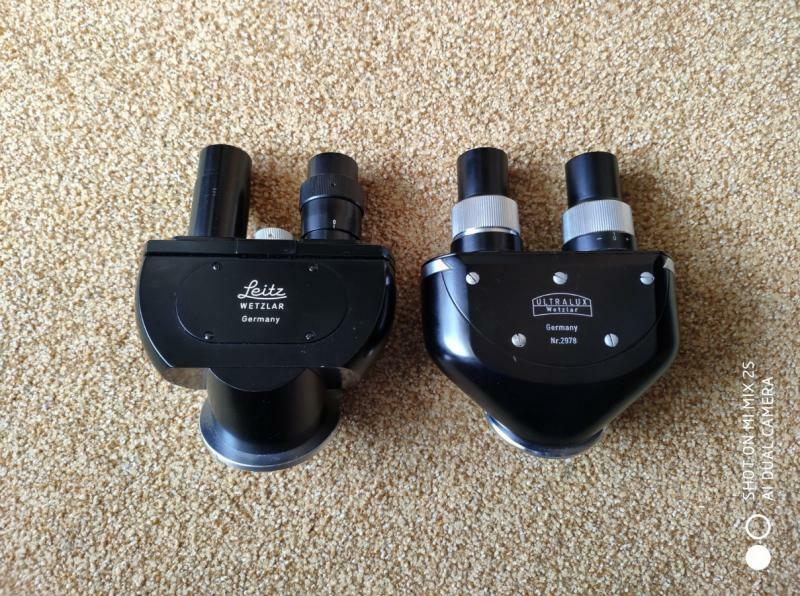 I have strong fetish to old high quality built stuffs, and I had opportunity to have in hands old Wetzlar binoheads. Right one is VERY old, and actually impossible to find, especially not in such excellent shape. Let one is very old as well, but not so much as another. Both very robust and high quality mechanics design. I wish nowdays binoviewers are made with such precision, robustness, and such high quality and smoothness of mechanics. Lets record that beauties forever with some specifications never recorded. Here is shown up look. Edited by denis0007dl, 19 January 2019 - 05:02 AM. Here is bottom look, where we can see angled built in prisms. Left one have clear aperture 12mm only, and absolutely non coated prisms. Optics without fungus and without any issues in cemented beamsplitter (suprise). Light transmittion is actually suprisingly very high, which was not be be expected. Its much higher than his brother on right, which have some nice prism coatings. Right bino have clear aperture 16mm, and all prisms have very nice prism coatings as shown on photo. Coatings can be very easily removed even by gentile cleaning. Some imperfections presented in cemented beamsplitter. Edited by denis0007dl, 19 January 2019 - 05:10 AM. Here is shown interior with very nice prism built and mechanics. Edited by denis0007dl, 19 January 2019 - 05:11 AM. ...and here is comparation with angled Carl Zeiss which is my favorite angled binoviewer af all times. For comparation, Zeiss have clear aperture 18.5mm, MgF2 coatings, and produce brightest images of all. Just to mention/add: all of them produce super sharp images, with high contrast, and have very very low scattered light! Now we have all these usefull datas and photos in one place, in just one thread. Hope some of these datas will be usefull for future readers. Edited by denis0007dl, 19 January 2019 - 05:24 AM. What are the optical path lengths of each one? 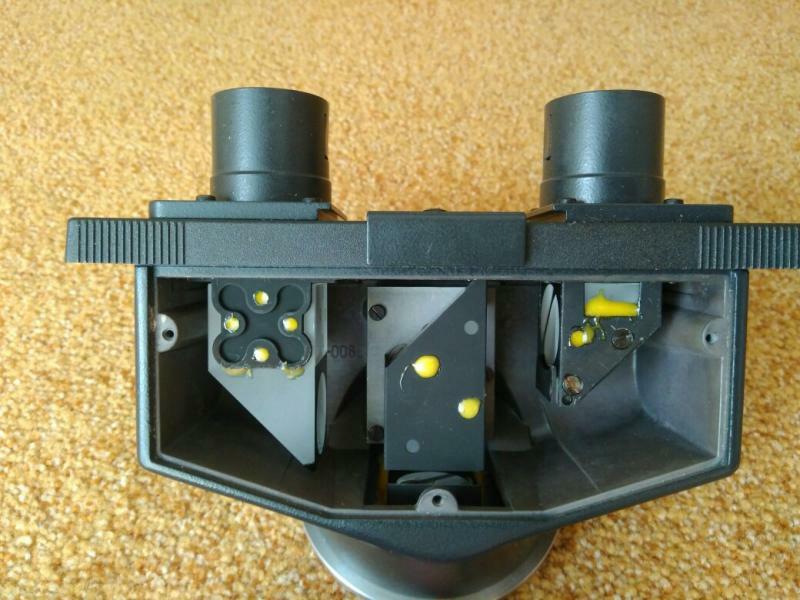 Didnt measure exactly, and all depends what custom made adapters are used, and if there are T2 eyepiece plates and holders, light path differs a lot. Usually angled Zeiss with custom made T2 plates and added ClickLock eyepiece holders, have approx 11cm only of light path. Why I say only, is because it have built in angled prism. Only reason I asked was because I was told about a week or two ago that the oder WO Binoviewers had a clear aperture of 17mm as opposed to 21-22mm like they have now. Edited by Miranda2525, 20 January 2019 - 01:45 AM. Showed beamsplitter from Leica BIG binoviewer with 28mm prisms. 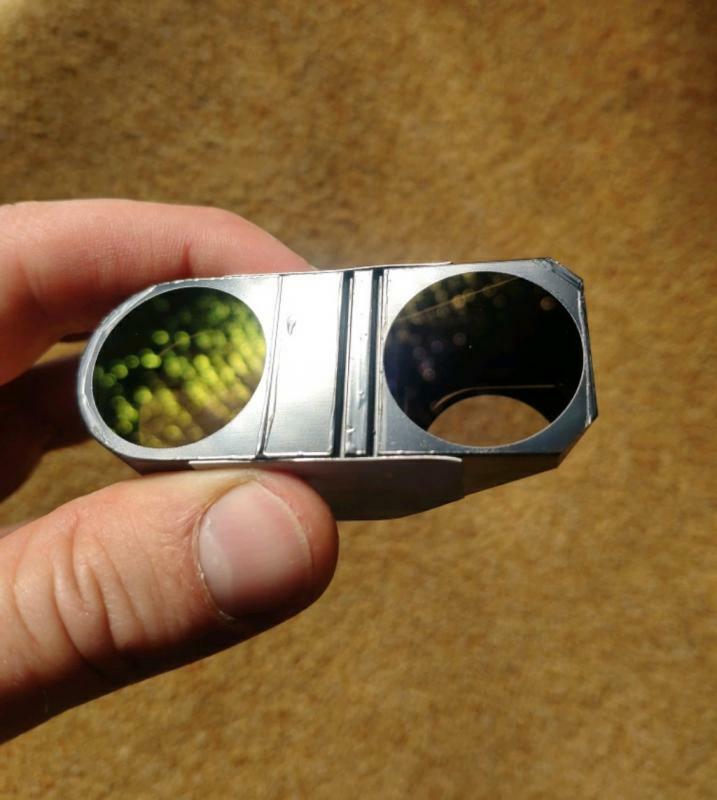 Check out that beautifull modern coatings, and how Leica make "baffling" on each prism surface leaving pure circle where light passing through. Edited by denis0007dl, 18 February 2019 - 02:17 PM.